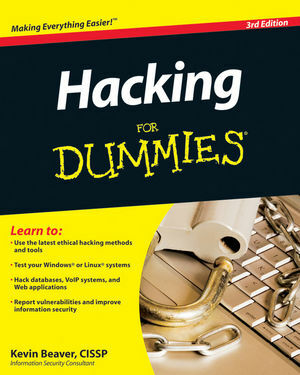 It is our greatest pleasure to recommend the newest edition of “Hacking For Dummies” by Kevin Beaver, an independent IT security consultant, a practical guide on computer and mobile security updated to the current state of industry. With a natural talent of word Kevin easily guides you through security issues in a very clear and consistent manner, so that all major aspects of IT security, authentication and pen-testing are covered. With such a harmonious and sequential unveiling of security subjects as in this book, it is much easier to dig deeper into particular questions of your own interest. We know Kevin Beaver from long ago, since that very happy moment when he decided to check out our software and see how it works. Having tried all our tools and providing professional feedback Kevin immensely contributed towards our software developments. Now it’s a great honor for us to be mentioned in various editions of his book, including the latest one, with reference to practically all of our programs, primarily because they are all meant for getting access to password protected data or encrypted disks and crypto containers. Reverse engineering and data decryption is our main focus since the very beginning of the company. However, lately the focus of our attention has been slowly drifting more “into the cloud” taking the shape of such products as Elcomsoft Explorer for WhatsApp or Elcomsoft Cloud eXplorer for Google Accounts. And it is not a coincidence that Kevin’s book covers cloud security topic as well. 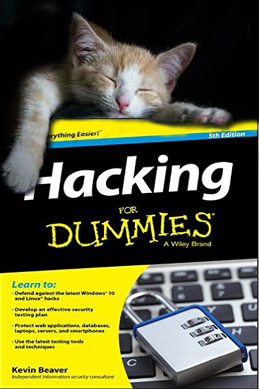 So, get these 408 pages of hacks and tips against them right meow and enjoy your reading.